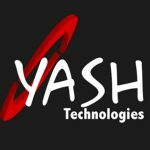 YASH Technologies, Inc., a leading enterprise business and technology solutions partner for medium and large global customers, is seeking experienced professionals, who thrive on challenge and desire to make a real difference. With an environment of extraordinary innovation and unprecedented growth, this is an exciting opportunity for a self-starter who enjoys working in a quality-oriented, fast-paced, team environment. We are inviting SAP Functional Trained Resources as an SAP Trainee who will be building his/her career with Yash and grow with the company. Note: Please send profiles to TAC_IBG@yash.com with the Module name in the Subject line.